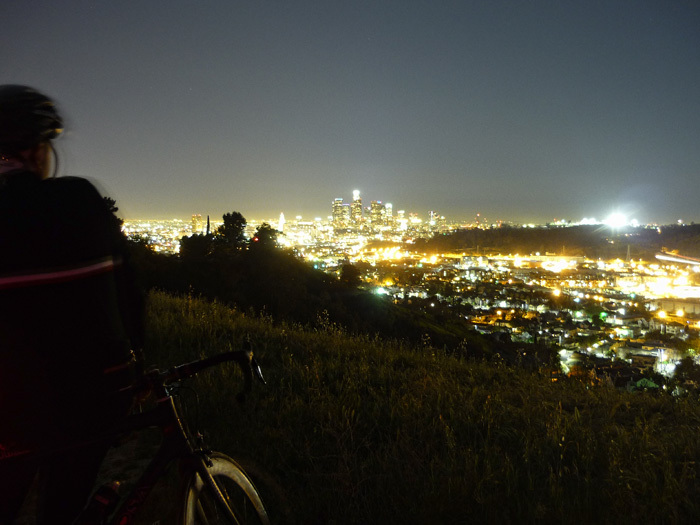 For the last four years, local LA artists Sean Deyoe and Nathan Snider have led The Passage of a Few People Through a Rather Brief Moment in Time, a weekly Wednesday night bike ride exploring far-flung areas of the city. 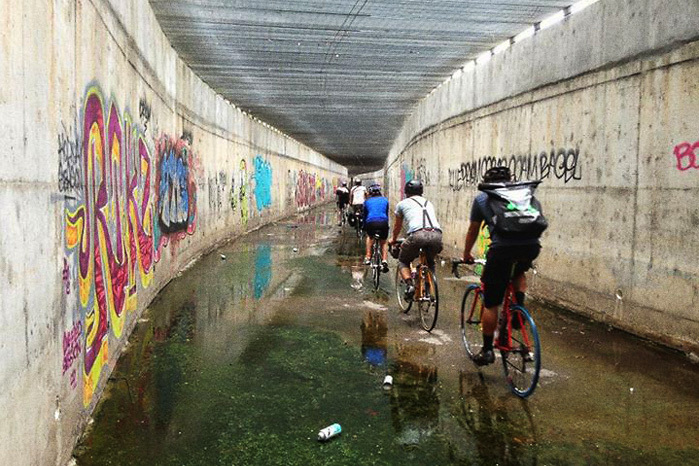 Convinced that bicycle infrastructure encompasses much more than bike lanes and river paths, they climb hills, wander off-road, and venture underground to bring out the hidden and unexpected connections between otherwise disconnected places. The ride is known for its unique routes and ambitious conceptual themes, aiming to give participants a balance between seeing new things and seeing old things anew. Passable Atlas is a showcase of maps, photos, and video from The Passage ride, with nods to the various literary, architectural, and intellectual sources that have served as inspirations. For the full experience, those with bicycles may also take part in a special Saturday night ride scheduled in conjunction with the closing of the show on July 6th. Part document, part experience, part guidebook for exploration, Passable Atlas presents an argument for a more open city. Tuesday night at Red #5 Yellow #7 gallery Sean Deyoe and Nathan Snider will be speaking about the ride and the gallery installation inspired by unexpected connections between otherwise disconnected places. The ride is known for its unique routes and ambitious conceptual themes, aiming to give participants a balance between seeing new things and seeing old things anew.